How to Place Keywords on My Site? SEO keywords are the basis on which you build the success of your web project. With the wide variety of different pages for the same topic, it is often difficult to filter out the right one for one's own purposes. Search engines are also faced with an important task: What content do they present to the searcher and why? An important criterion are keywords that website operators integrate into their content in order to attract attention. That keywords are so important for good rankings in the search engines is already clear - but where do they have to stand so that a page from Google is displayed particularly high in the search results? 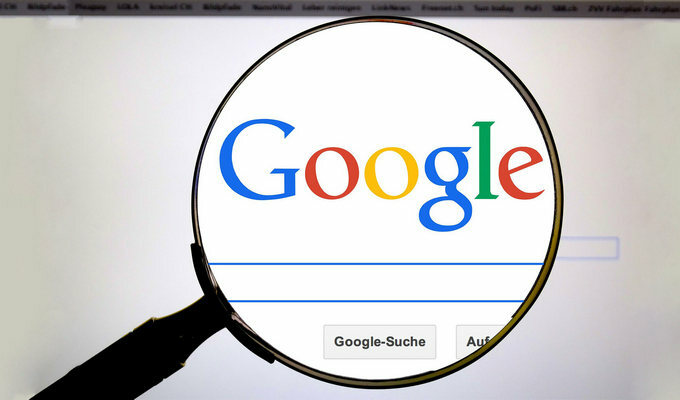 At Google (and other search engines), an algorithm decides which web pages are relevant to a specific SEO keyword, to what extent and in what order they appear in the search results. So, then quickly, quickly, anywhere to place keywords where it fits, right? No, this approach is unfortunately completely wrong. Since this occurred just at the beginning of the "keyword hype" heaped, Google has put an end to the whole thing now. If there are too many keywords in the content, Google and other search engines classify these pages as spam - which, in the worst case, can result in you not even appearing in the search results, or just running low. And, hand on heart: How often does it happen that you also consult the second or third page in a search? Probably rare. Important tip to start with: Choose a single keyword for each of your pages to optimize. So, chances are that visitors will get to your page if you search for exactly that keyword. Important: The chosen keyword should necessarily appear in the headings of your content. Above all, the main heading H1 of the page is important here, as Google weighted this more than subheadings like H2, H3 or H4. Also use variations and synonyms. The keyword setting should not be too intrusive, otherwise your reader will not feel well. Tip: Give the text to an outsider to read and ask him which keyword you have probably chosen. If he does not notice, you have done everything right, immediately comes a clear "Phew, that was not to be overlooked", you have to again to the text. SEO should not be visible to the customer! What is that? When you search on Google, the search engine presents you with a list of potentially interesting pages. These are then teased with a self-chosen page title and a small text, the meta-description. Also in these necessarily a keyword, so that the user knows immediately, what is in your text. This is an important trigger for deciding whether the potential customer wants to read the text more accurately and clicks on your page, or opt for a more appropriate one. Sparkling, crisp and informative at the same time, the mini-text should also be known as a meta-description - and, of course, with a meaningful keyword. And again, search engines want to see keywords. Sure, because this title present you and thus the search engine to the user: The headline should therefore include as far ahead your keyword, so that the seeker knows in a very short time, what is going on. The following meta-description, which has just been discussed, may take the keyword a bit further back. Pure for legibility, otherwise the whole thing is too intrusive and too SEO. To place keywords correctly, not only the plain text, but also the caption of pictures is an important point. You can also enter keywords in the so-called ALT attribute, as this can significantly increase the SEO quality of your website. If the keywords in the content and in the images match, this testifies to a very high quality, because it also gives the user a nice weaving experience. This recognizes and honors Google with a higher ranking in the search results. So the higher you go up in the ranking, the higher your conversion rate, which is the chance for users to click on your page and eventually become a customer. Now, when you get started on placing your keywords correctly, consider: How do I choose my keyword so that it naturally fits into the content? It's very important that the user does not notice which is exactly your focus keyword. If that's the case, you clearly have too many in the text. As previously noted - even Google recognizes when too many keywords have been implemented, and rates this as unnatural and thus as spam. Only use SEO keywords that are both high in search volume and directly relevant to users who are interested in your product.